Orange is a quaint community with a charming town center, great shopping and amazing food! There are great restaurants all over Orange County, but the city of Orange has some hidden gems that should be on the top of your list for this weekend! We have laid out a guide to some of our favorite eating spots and top menu picks! For the best barbeque in Orange County look no further than the award-winning barbeque served up at Smoqued in the Orange Circle. This intimate spot combines wood smoked meats with some of the best beer crafted in California! If you’re with a large group, the Smoqued Pork Nachos are a must to order. 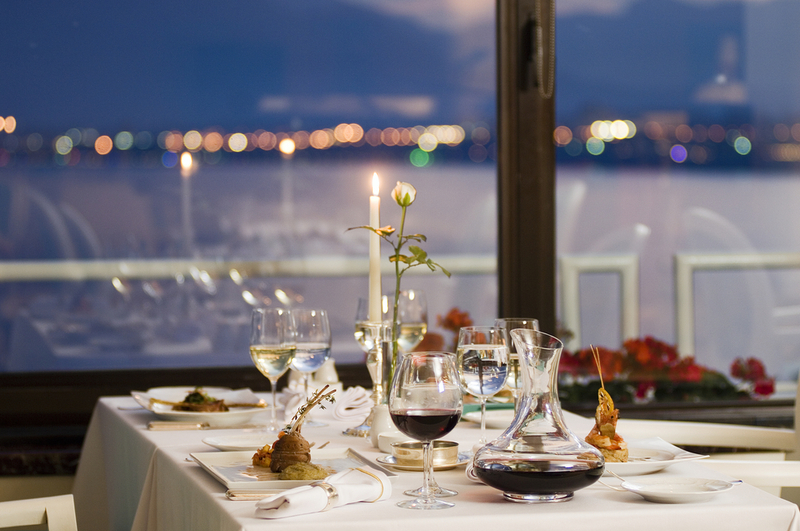 Craving an intimate atmosphere and divine food? Francoli Gourmet sits on one of the four corners of the Orange Circle, but is possibly the biggest hidden gem of Orange. Francoli Gourmet creates authentic Northern Italian cuisine dishes that will spark anyone’s taste buds. This restaurant offers diners the best Italian food in all of Orange County. One dish is better than the next, and to top it off, any meal is followed by classic Italian desserts. One of our personal favorite desserts is the Chocolate Fondant Cake! Operating out of a 100 year-old historical home, Rutabegorz is the perfect place for a relaxing meal. All of the food is organic and the menu is extensive- you will not know what to pick! Some of our favorite menu items include the Garlic Chicken Salad, Joe’s BBQ Chicken Sandwich and the Gringo Burrito. Not only are the entrées and appetizers fantastic, but the desserts and incredible too! With cookies as big as your face, and seasonal selections, Rutabegorz is our destination for all things sweet! Looking for the perfect date night? Orange Hill Restaurant sits atop one of the highest points in Orange and overlooks all of Orange County. Orange Hill is the perfect place for a romantic, upscale dinner. For the ultimate experience, make reservations around sunset to see one of the best views for miles. The restaurant has different menus for brunch, dinner and sunset (a pre-determined three-course menu), but the food is equally as decadent and delicious on all of them. The restaurant can also be rented out for special events, along with the O Bar featured at Orange Hill. If you need more than just a cup of coffee for breakfast, head over to Watson’s Soda Fountain in the circle for some of the most decadent breakfast items you’ve ever seen! The restaurant was recently remodeled and the interior is a fun and upbeat atmosphere- great for families and small children. A few breakfast items you can’t go wrong with are the Nutella Stuffed Pancakes, Huevos Rancheros or Lone Range Benedict. If you still have enough room in your stomach, the lunch and dinner menu is equally as incredible. However, you never have to choose a certain type of meal because breakfast is served all day at Watson’s! A must-try at Watson’s are their famous shakes and malts, some of which are even spiked! For more information on Orange and great restaurants to try, contact Stacy & Nicole today! We can offer advice and show you homes on the market in Orange.